Whether you are a returning PTO member, new to PTO or a first time Rousseau parent, we invite you to check us out and find out more about what our PTO can do for our school, our teachers, and, most importantly, our students. Students make the most of school when families get involved. Working with teachers and staff, parents and guardians can help provide their students with enriching opportunities through both hands-on volunteer work and fundraising efforts. This support and encouragement also brings opportunities for inspiring events and programs. All in all, the benefits for students are immeasurable when families get involved. The PTO is organized for the purpose of supporting the education of students at Rousseau Elementary School by fostering relationships among parents, teachers, and administrators. 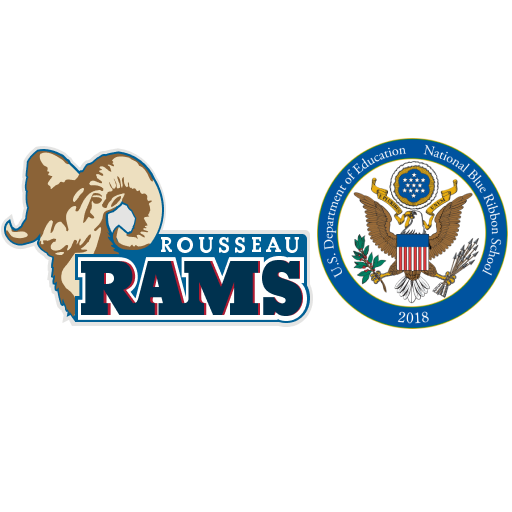 The primary objective of Rousseau PTO is to promote a positive relationship between home and school, so that parents, teachers, and administrators may cooperate in the education of students at Rousseau Elementary School. What does Rousseau PTO do? PTO strives to build a supportive school environment where both students and teachers can do their best work. We are about parent involvement first; fundraising is secondary. Research shows that getting involved in your child’s education helps him/her thrive at school. Coulombe, G. (1995, January). Parental involvement: A key to successful schools. NASSP Bulletin, 79(567), 71-75. Davies, D. (1991). Schools reaching out: Family, school and community partnerships for student success. Phi Delta Kappan, 72(5), 376-382. Schools only get better when parents take an active role. 2018-19 is going to be a great year!!! Rousseau is an exciting place to be! Join us! As always, be sure to read the Ram Report and check our PTO Facebook page for updates, volunteer opportunities, and upcoming events!